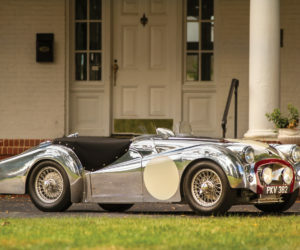 The term coachbuilding brings to mind images of talented old-world individuals who utilize simple tools, vision and raw materials to bring beautiful automotive shapes to life. 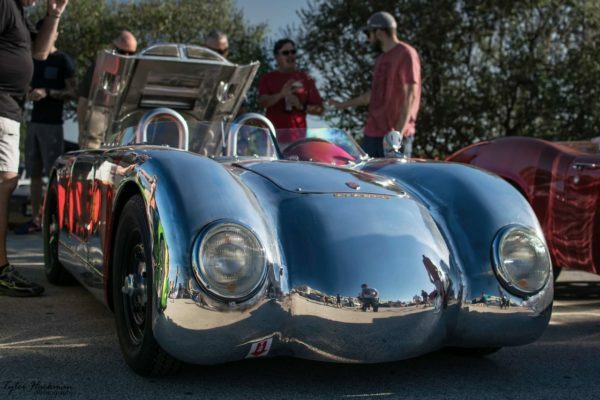 Chris Runge might not be the old school blacksmith type you had in mind (the man doesn’t even have a mustache), but there’s no denying the caliber of his automotive creations and the vision and talent required to create them. Inspired by the great air-cooled German classics of the post-war era, Runge handcrafts aluminum-bodied minimalist racers dubbed Frankfurt Flyers. 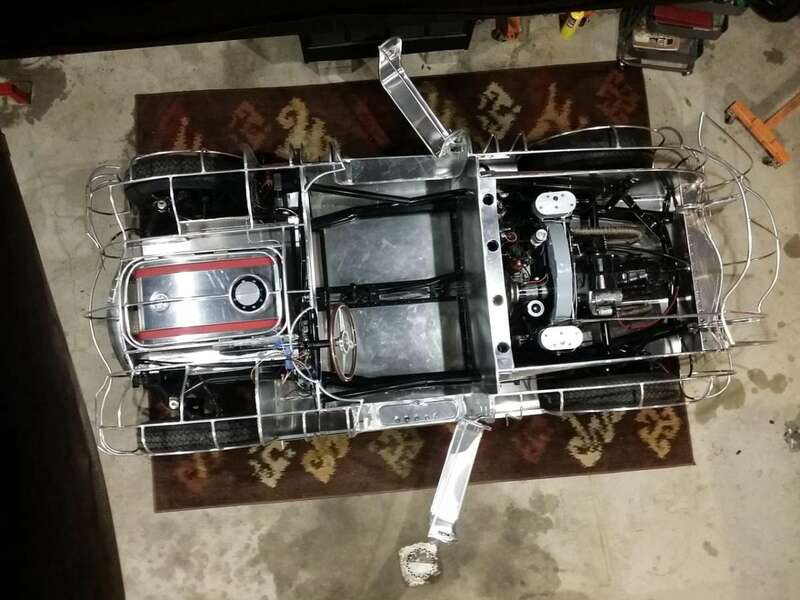 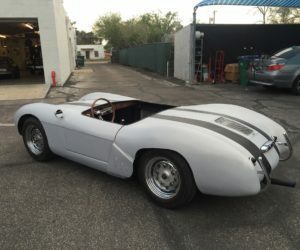 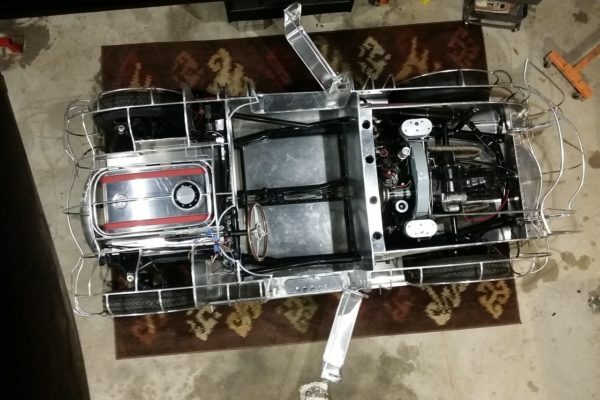 Frankfurt Flyer 004 is a stunning Porsche-powered spyder with a mirror-like finish and is currently up for internet auction on BringaTrailer.com. 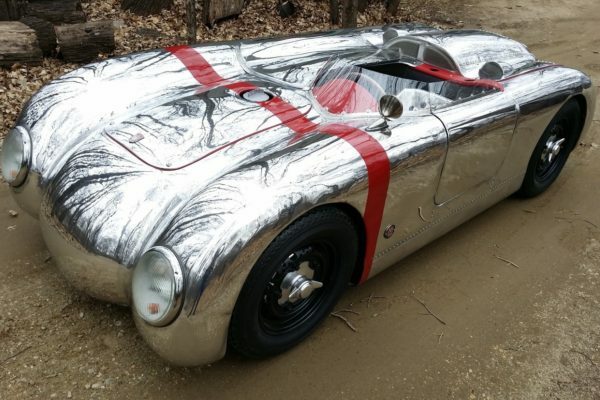 Like many of Runge’s other aluminum creations, FF 004 has clear Porsche inspirations, however it’s clear Runge was more inspired by 356s and 550s, rather than directly borrowing design cues. 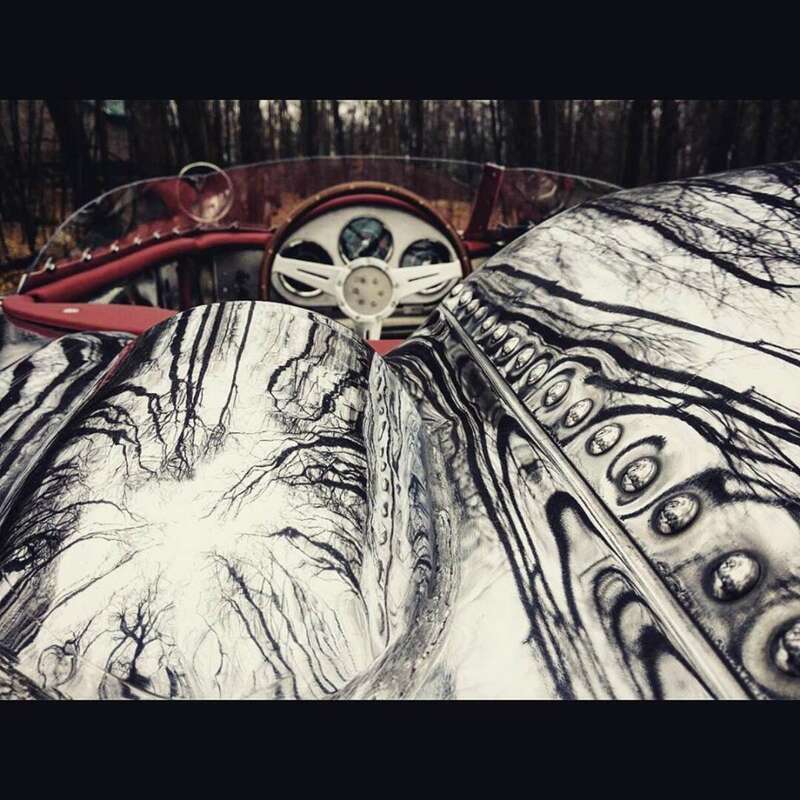 Runge’s cars all start with sketches on paper and then are translated to an aluminum tubular support structure, which the final skin is wrapped around. 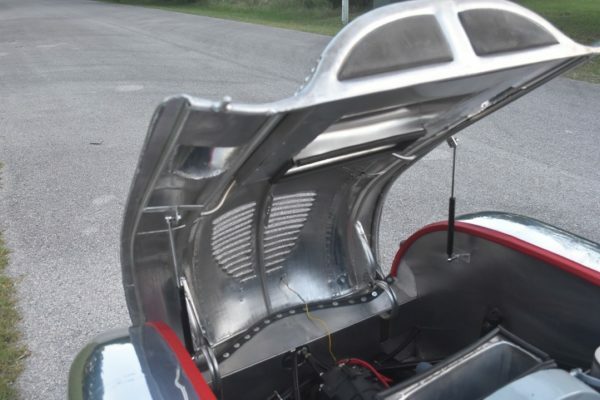 Shaping of the aluminum skin is all done by hand using various shrinking and stretching tools, hammers and an English wheel. 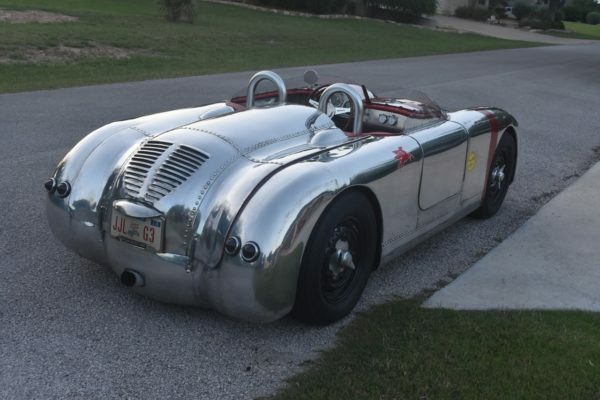 With exposed rivets and traces of welds visible in the bodywork, Runge’s cars have an old-world, handcrafted appearance, which has captured attention from the likes of Jay Leno and other big names. 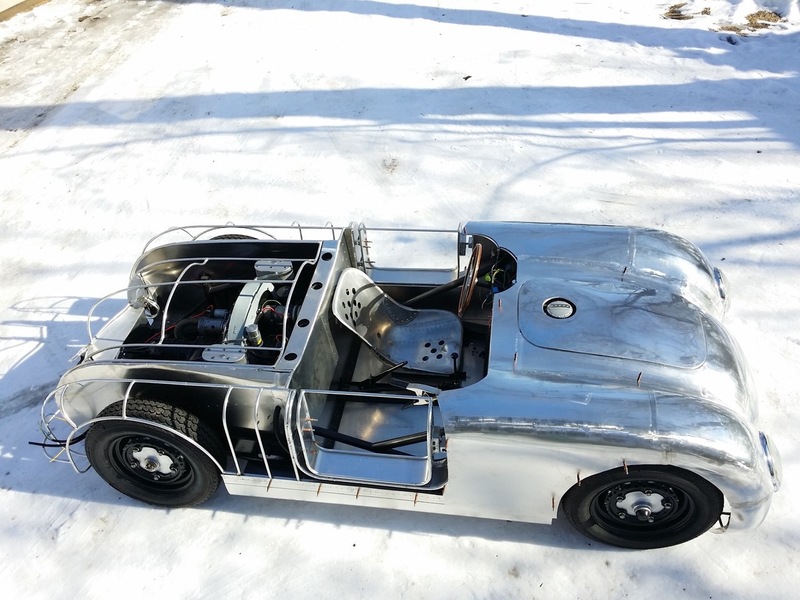 Under the Frankfurt Flyer’s shining armor, you’ll find a steel tubular chassis from a familiar name. 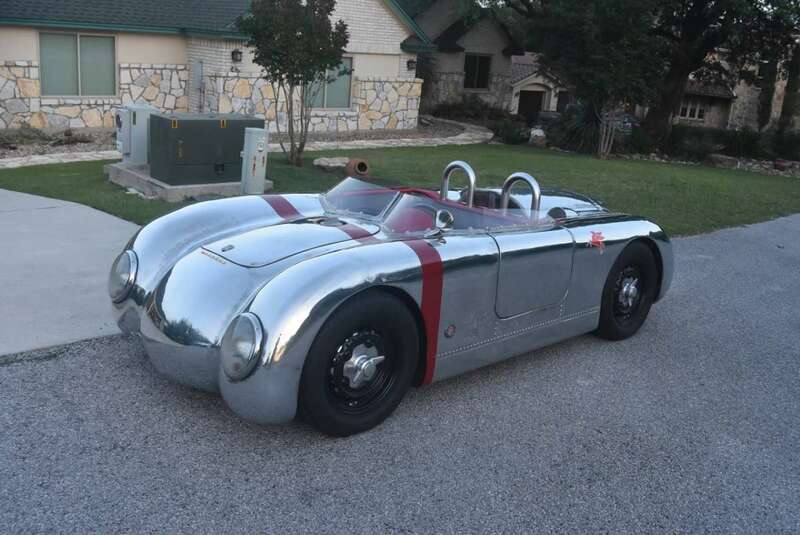 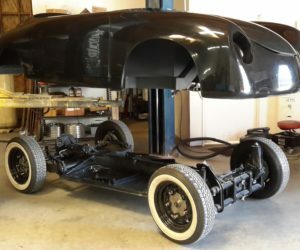 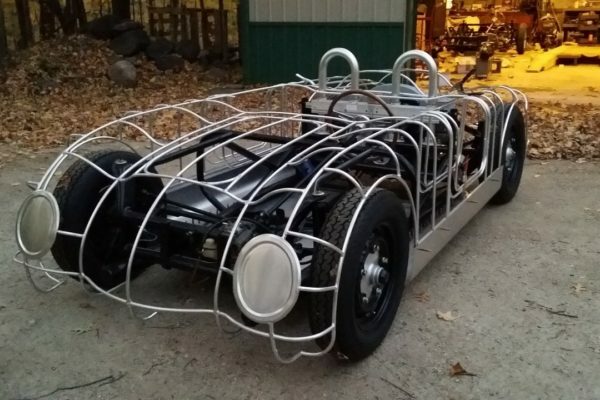 One of Chuck Beck’s Spyder frames was custom tailored to fit the Flyer, and the seller claims this was the last car Runge and Beck collaborated on, and all cars since are built on a propriety chassis. 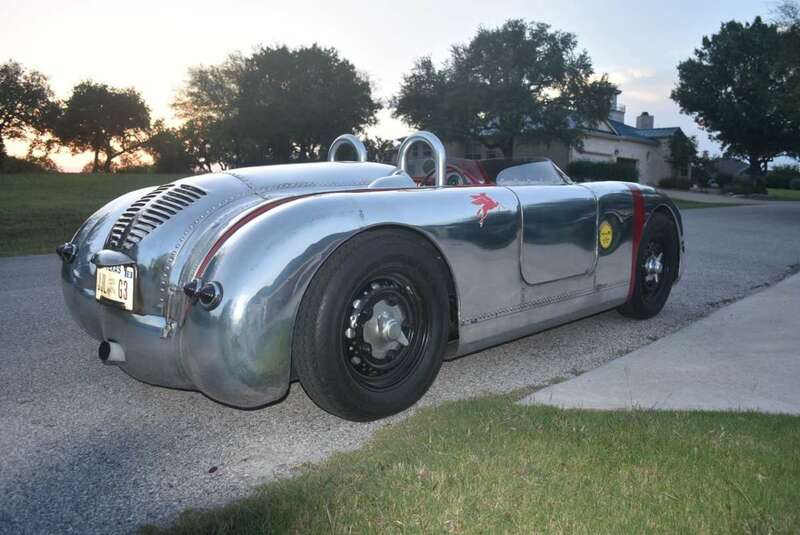 While some Runge vehicles use hopped up VW powerplants, 004 is powered by a 1,720cc flat-four from a Porsche 356. 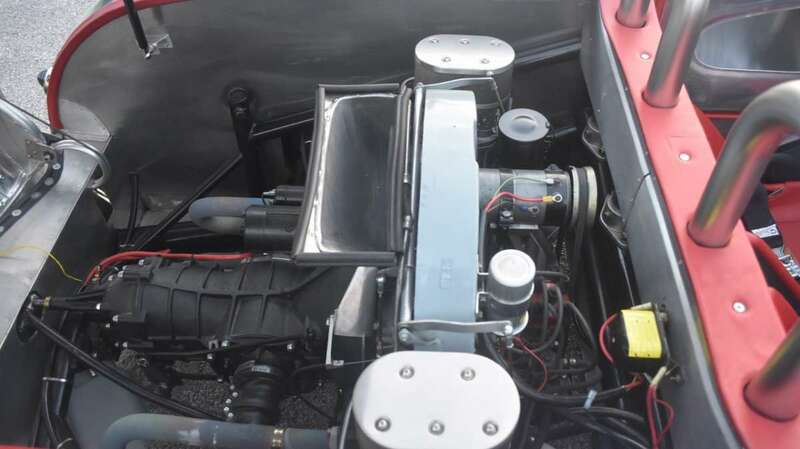 Dual Weber carburetors spice things up a bit and a four-speed Getrag transaxle with a limited-slip differential puts the power to the pavement. 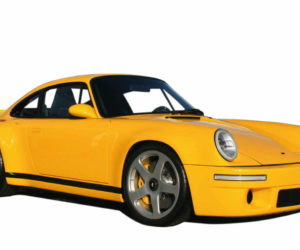 The perfection of this air-cooled accolade extends to the finer details also. 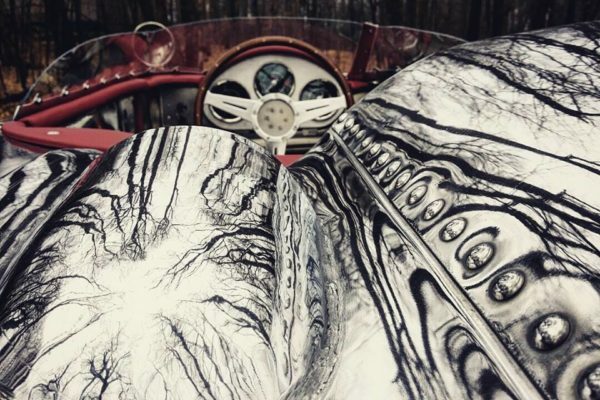 Hop inside and you’ll find a lovely assortment of aluminum, red leather and Porsche gauges. 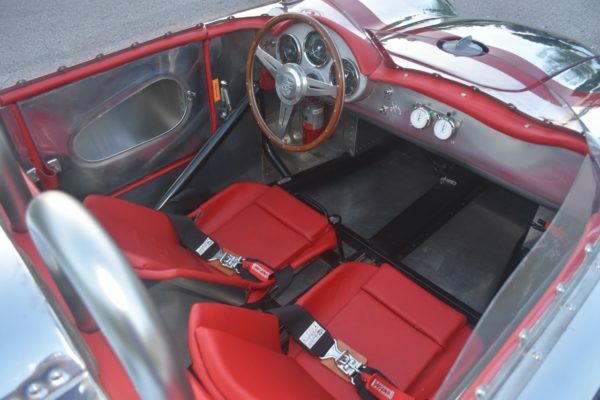 The seller found the original raw aluminum seats to be uncomfortable, and replaced them with nicely finished set inspired by the RSK. 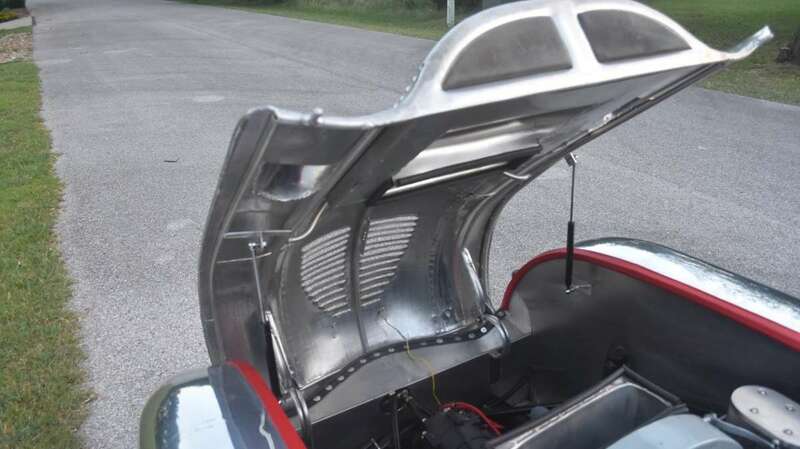 The exterior is brought together with some nice Porsche influences, including wide-five wheels, a competition-type windscreen and various functional air ducting. 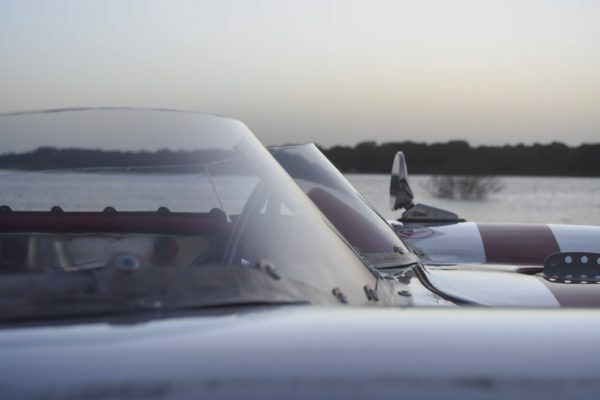 The completed FF 004 is a certified lightweight at just 1,160 pounds dry. 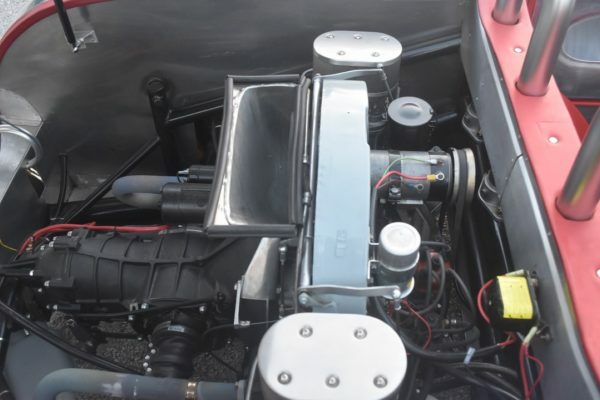 Frankfurt Flyer 004 is nearly new with just 1,100 miles on the clock since completion. 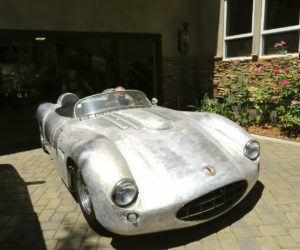 Buyers are chomping at the bit too, as the current big is up to nearly $80,000 with four days remaining in the auction. 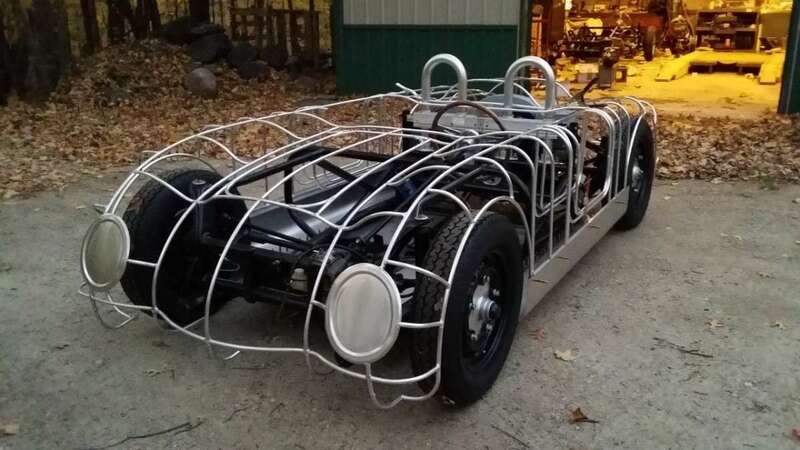 It's tough to determine what a car should sell for as it's so unique, but we wouldn't be too surprised if it took another $20,000 to make the hammer fall. Check out the listing here at BringaTrailer.com, and Runge's site Rungecars.com for more details.